Less than 24 hours after he was sworn in, Gov. Ron DeSantis named Florida Third District Court of Appeals Judge Barbara Lagoa, a conservative, to the Florida Supreme Court. Lagoa, the first Hispanic woman to serve on the state Supreme Court, replaces retired Justice R. Fred Lewis. William Large, the president of the Florida Justice Reform Institute which supports the business community over trial lawyers, praised the appointment. “Justice Lagoa brings these exact qualities and an impressive record to the Court at a critical time. 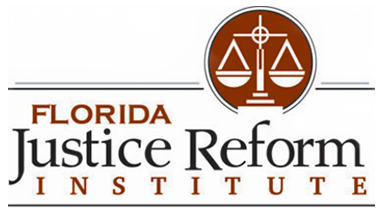 The Florida Justice Reform Institute applauds Governor DeSantis’ on his wise and thoughtful choice that will have a profoundly positive impact on Florida for a long time,” Large added. Florida Family Policy Council President John Stemberger, one of the top religious conservatives in the state and an attorney, also praised the new Supreme Court justice. Liberal group Progress Florida launched a preemptive attack earlier in the week, bashing DeSantis for not looking more at African Americans to serve on the state Supreme Court. “Gov. Ron DeSantis is expected to tout a ‘bold vision for a brighter future’ at his inauguration. What he is unlikely to mention is that due to the outsized political influence on the nominating process he will be remaking the Florida Supreme Court with no African American representation for the first time in decades. Gov. DeSantis has the opportunity to begin to right this wrong by supporting important reforms to help ensure Florida’s courts better reflect the diversity of our state,” the group noted. Progress Florida backs legislation changing the nomination process and took shots at former Gov. Rick Scott on the matter. “Senate Bill 138 and House Bill 93 would overhaul the commission process to ensure that those who choose Florida’s judges are reflective of the diversity of Florida, rather than serving as a partisan political tool of the governor’s office, as it has been under Rick Scott,” Progress Florida insisted. “Florida’s judicial system was once a model for the nation. Unfortunately, that’s no longer the case. A report by the Florida Access to Justice Project found that political influences have become a greater threat to the independence of the courts and its ability to act as a check and balance. When the Judicial Nominating Commissions were established in the 1970s they were supposed to act independently as a check on executive power but that has changed in recent years. Gov. Rick Scott has rejected approximately 90 Florida Bar recommendations for JNCs, pushing them closer to being a political arm of the Governor’s Office. “What’s more, Florida’s population is 22 percent Hispanic and 16 percent African-American. Yet among the state’s judiciary, fewer than nine percent of judges are Hispanic, and fewer than seven percent are African-American. The American Constitution Society for Law and Policy issued a report, ‘The Gavel Gap,’ which assigned Florida an overall grade of ‘F’ when comparing the race and gender composition of the courts and the communities they serve,” Progress Florida added. Kevin Derby can be reached at [email protected].